Steve Wyrick came from humble beginnings and lived most of his life in Garland, Texas. At the age of 6, he witnessed his first magic trick. He was spending the day with his father and accompanied his dad to a meeting at a friend’s office. Throughout the entire meeting, Steve couldn’t take his eyes off a light bulb that was sitting on his dad’s friend’s desk. Thoroughly intrigued by it, as he was leaving, the little boy asked, “Why is there a light bulb on your desk?” His dad’s friend picked up the light bulb, made a gesture with his hand, and the bulb lit up. That’s when the light bulb went off in Steve’s head and he knew that he was destined to create magic. With an undeniable passion, Steve asked his parents to take him to the library. In a six-month period, he read every book the library had about magic. Steve practiced for hours learning the basics of the art and after a few years, he was able to develop a small act that he could perform for free at local daycare centers, school carnivals, and even at his favourite library! At the age of 14, Steve won the Texas Association of Magician’s competition and the next year, he competed in the International Brotherhood of Magician’s competition and was featured on the Gold Medal Show. The convention and competition were covered by NBC News. Steve walked away with first place in the Junior Category. That same year, Steve competed in the Society of American Magician’s competition and, although he was only 15 years old, he won first place in the Senior Division. Years of performing at art festivals and fairs and headlining at a couple of annual magician conventions followed. Steve began to realize that his eight-minute competition act would have to grow into an entire show in order to be commercially competitive. While visiting a friend in Branson, Missouri, Steve was given his first break. There was a classic vaudeville movie theater, in which the likes of Roy Rogers and Gene Autry used to perform, that was being renovated. The owner was looking for a country star to appear over the summer since Branson was considered the music show capital of the world. As fate would have it, Steve’s friend introduced him to the owner of the theatre and, after a great conversation, the man invited Steve to take a tour of the venue. Within a few days, Steve was contracted to headline in his very first engagement for which tickets could be purchased by the general public. Steve performed at 2 p.m. and 7 p.m., seven days a week. The three-month summer run was well received by the public and critics alike. 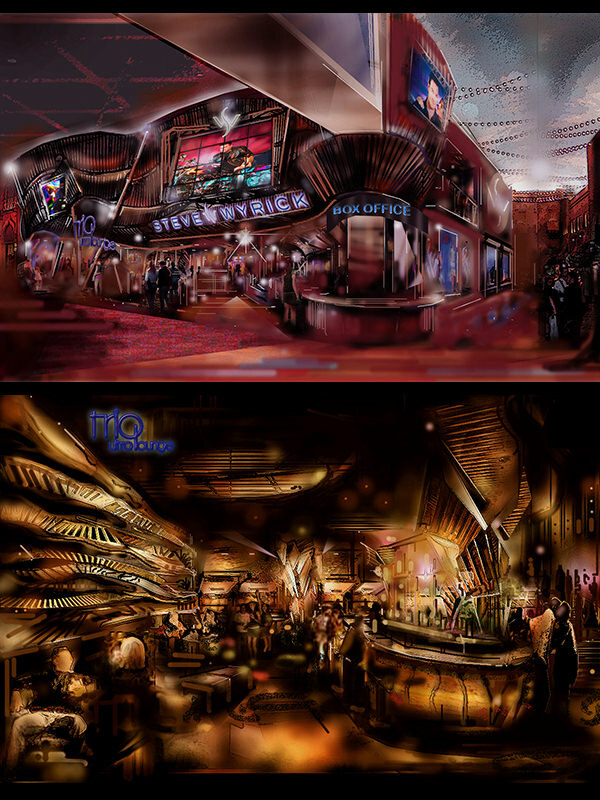 Immediately after Branson, Steve opened in Houston, Texas, at a magic-themed nightclub and dinner theater called The Magic Island. His performance received rave reviews. During the run, a famous magician caught one of Steve’s shows. 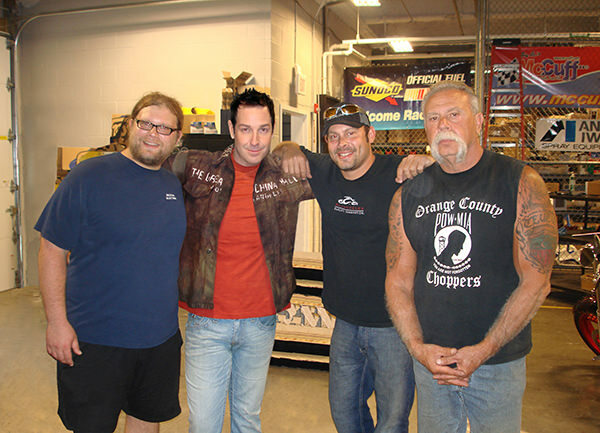 He met Steve after the show and asked him where else he would like to perform. Steve mentioned that he had always wanted to travel abroad and perform in the Far East. That magician happened to know one of the biggest show producers in Japan and a short time later, Steve opened at Hotel Ginsusio in Intori, Japan. He then began to develop a much more elaborate evening show. Steve subsequently became a featured headliner at major fairs, festivals, expos, and on cruise ships. 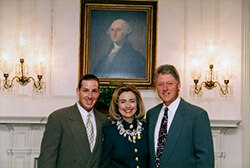 Within a couple of years, he was invited by President Bill Clinton to do a command performance at the White House. Steve premiered some of his newest illusions for the President and First Lady Hillary Rodham Clinton. In a bold forward-thinking move, Steve decided to pursue the two things that were the Holy Grail of Entertainment for any performer — appearing on a network television special and debuting a headline show in Las Vegas. 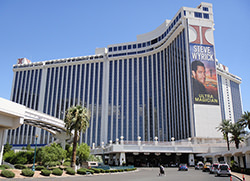 Just two months later, Steve was asked to perform on The World’s Greatest Magic, an NBC network television special filmed at Caesars Palace in Las Vegas. 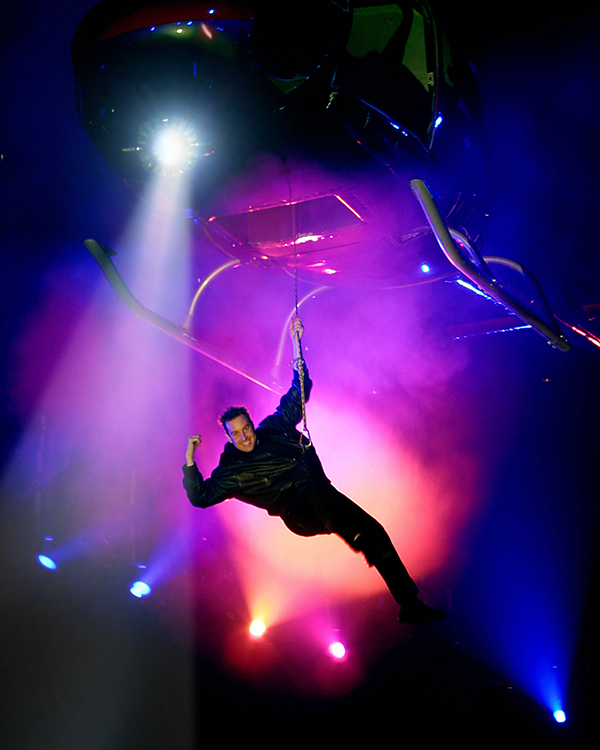 He once again pushed the limits of live entertainment, making a Beechcraft Baron 58 twin-engine airplane appear in three seconds on stage in the Circus Maximus Theater. With the notoriety he had gained from starring on two primetime network television specials, Steve was able to make the second part of his dream a reality. 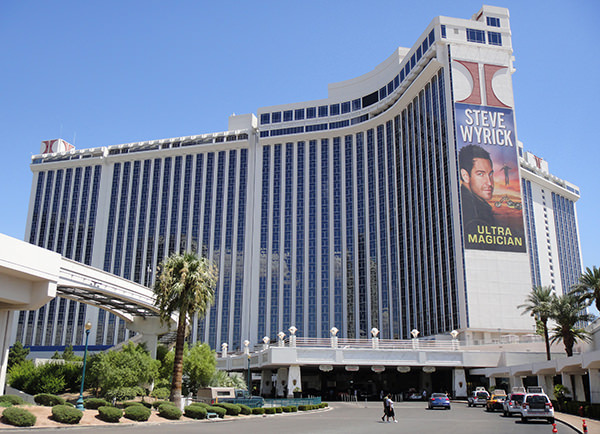 In 1997, he opened in Las Vegas in his own show entitled “Steve Wyrick World Class Magician” at the Lady Luck Hotel and Casino. He appeared at the hotel for three years, performing to sold-out crowds and eventually breaking every box office record in the history of Downtown Las Vegas. During this time, Steve was invited to star on an NBC primetime network television special called The World’s Most Dangerous Magic, being filmed on location at Sunset Gower Studios in Hollywood. Steve once again defied what was thought impossible to create on television. He fired up a 747 turbine jet engine and stepped through the spinning blades while it was going Mach 1, emerging without a scratch. Then, Steve was approached by Bill Timmons, the CEO of the Aladdin Resort. Timmons signed Steve to a two-year contract to headline at the hotel. 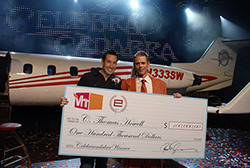 In 2005, Steve embarked upon a never-before-attempted project by any celebrity entertainer. He designed, created, and built his own $34-million entertainment complex at Planet Hollywood Resort and Casino, featuring his own bar and lounge, a 500-seat theater and a gift shop. 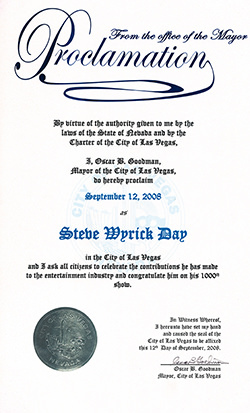 With more than 5,000 Las Vegas headline performances under his belt, over the years, Steve Wyrick has grown into an iconic Las Vegas star, with his image being displayed in two feature films — The Cooler, distributed in 2003 by Lionsgate Pictures, and 2009’s Race to Witch Mountain, distributed by Walt Disney Pictures. Since his debut in Las Vegas, Steve has appeared on many network television specials and talk shows. 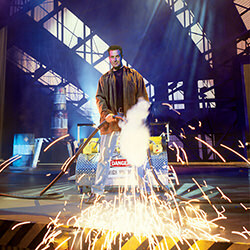 He has also performed hundreds of corporate shows. 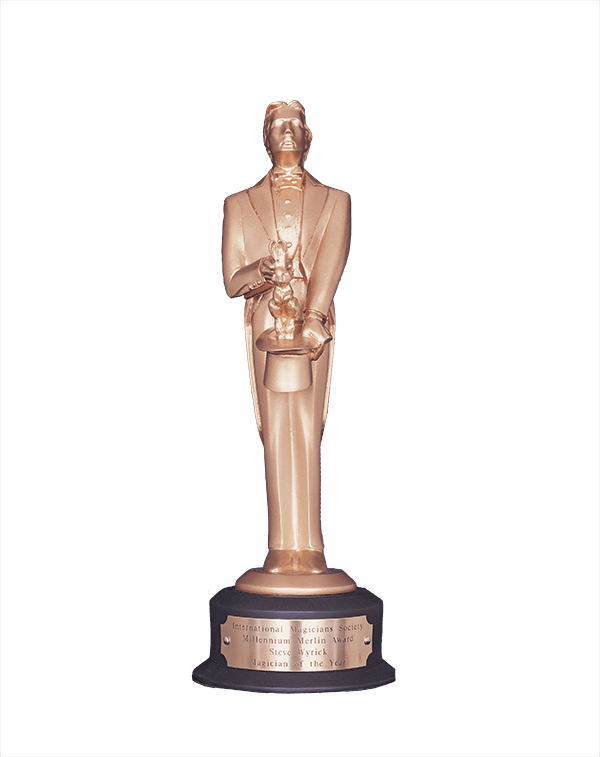 Steve created the largest illusion that has ever been performed in the Ed Sullivan Theater in New York for The Late Show with David Letterman on CBS. He was shackled to a table under a 30-foot tower that held a 10-foot-long rack of six deadly 3-foot-in-diameter circular saw blades, counter-balanced by a 500-pound sand funnel. Steve escaped from the Blades of Death Challenge at the last possible second before 1,000 pounds of saw blades cut through him. 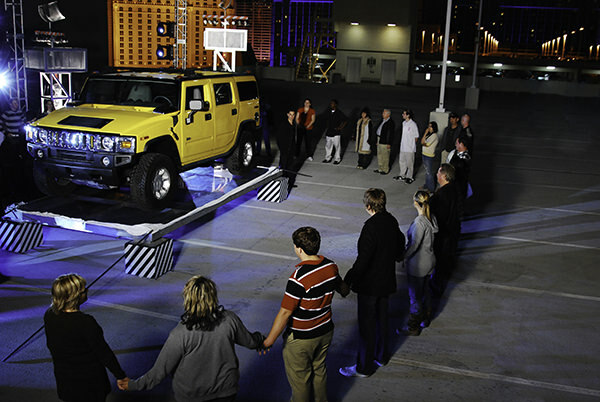 In an episode of That’s Impossible on the History Channel, Steve made a Hummer H2 invisible on the roof of the Planet Hollywood Resort and Casino parking garage while encircled by more than 40 onlookers. This illusion was shot by a camera crane without cutting away. 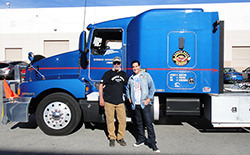 Steve was able to accomplish what no other magician in Las Vegas had been able to achieve – he closed down the Las Vegas Strip, not once but twice, on two separate occasions, for illusions filmed for television. 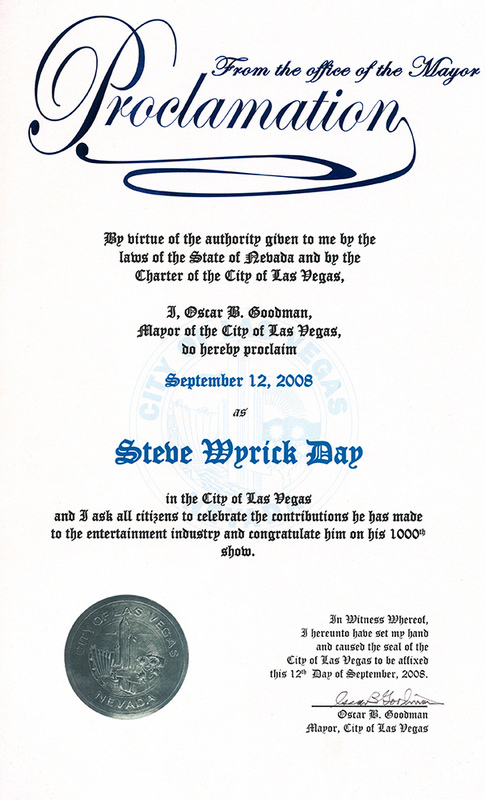 The first was shot for American Chopper on the TLC network and, immediately preceding the filming, Steve received another great honor in front of the 5,000 people who had gathered on the Strip to watch the event — he was presented with a proclamation from Mayor Oscar Goodman that proclaimed that day, September 12, 2008, “Steve Wyrick Day” in Las Vegas. 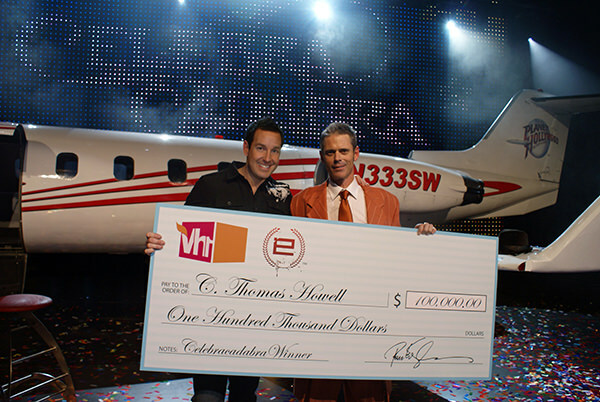 For this illusion, the Teutuls of Orange County Choppers had built Steve a new bike to commemorate his 1,000th show at Planet Hollywood Resort and Casino. Steve had challenged them to make one part of the bike invisible. Together, they had created a secret gas tank to be hidden in the rear wheel well so that the bike would appear to have an invisible gas tank. For the reveal, the bike was placed in a large clear glass box on the Las Vegas Strip. When Steve pulled the cover off the box, it was empty. The Teutuls were shocked and the entire crowd was bewildered as well. Steve told Paul Sr., “I asked you to make one part of my chopper invisible, not the entire bike!” He then asked the Teutuls to stand back as a wall of fire ignited around the box and smoke started to fill it. The sides of the box then lowered to reveal the custom chopper. Steve made the “invisible” bike appear through a wall of flame, thrilling the thousands of awestruck onlookers. The second Strip closure was for an illusion filmed for the Ford Motor Company. Steve partnered with world-famous drifter Vaughn Gittin, Jr. and created a stunt that entirely shut down Las Vegas Boulevard for a mile in both directions. Thousands of Las Vegas tourists watched from behind sidewalk barricades as Steve was chained into a framework by the Las Vegas Metropolitan Police Department, with barely enough room for a Mustang to drive through. Vaughn Gittin, Jr. drifted through Steve and the structure at over 100 mph. This was one of the most dangerous challenges ever staged in the history of Las Vegas. 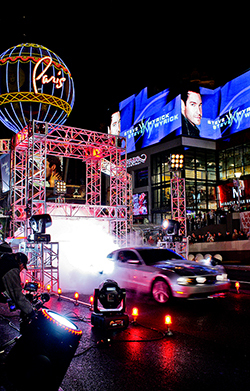 The stunt was broadcast on SpikeTV.com, Ford.com and featured in “The 10 Unleashed” series of webisodes that also featured Queen Latifah. On The Ellen DeGeneres Show, Steve performed an illusion underwater with Ellen’s help. In addition, he created the largest illusion that has ever been performed on her show at the Warner Brothers Studios in Hollywood. 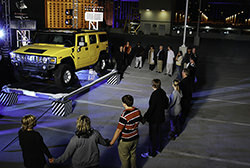 With the aid of 20 of Ellen’s audience members who surrounded a clear acrylic platform, Steve made a Hummer H2 appear out of thin air. A dream came true for Steve when he got to do a four-week run at one of Las Vegas’ most iconic hotels, the Las Vegas Hilton, in the same showroom in which the King of Rock ‘n’ Roll, Elvis Presley, was once a mainstay. One of the first shows Steve ever saw when he came to Las Vegas was Starlight Express, which was appearing in that famous theater. He was so impressed by the venue and its great history of housing not only Elvis but some of the world’s most legendary stars that he made up his mind that he wanted to perform in that room someday. He got his chance, launching the largest magic show ever staged in the history of Las Vegas, in which he utilized twelve 18-wheelers of equipment. Steve appeared on an episode of A&E network’s Shipping Wars and performed an illusion for the show’s star, Marc Springer. Marc inspected a crate after which Steve stepped into it and levitated himself and the crate a few feet off the ground. 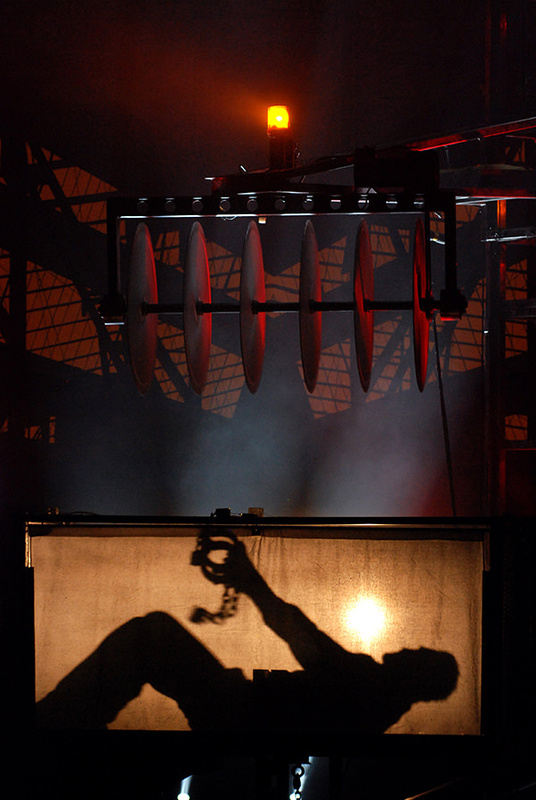 The real magic of the episode was getting Steve’s 747 turbine jet engine from Las Vegas to Atlantic City in time for his premiere performance at the Golden Nugget. Marc was able to deliver the engine in only a few days but with very little time to spare. Once the crew unloaded it, Steve tested the illusion. As Marc and the crew watched, Steve walked through the spinning turbine blades and emerged without a scratch. He then pulled off some sleight-of-hand magic, making Marc’s check disappear, then reappear. As well as being featured on E! Entertainment’s Talk Soup and HGTV’s Offbeat America, one of Steve’s recent television appearances was on the 17th Annual Hooters International Swimsuit Pageant on Fox Sports 1 television network, shot live at The Joint inside the Hard Rock Hotel and Casino in Las Vegas. Steve created an original multimedia illusion in which he took “sawing a woman in half” to new technological levels. For the first time in history, the separated body parts (head and torso and legs and feet) could be examined up close by an audience member. Audrina Patridge, star of MTV’s The Hills and NBC’s First Look, checked them out and could not believe what she was seeing, exclaiming, “It’s like real!” For the ultimate finale to the illusion, Steve reassembled the girl and morphed her clothing into the iconic Hooters uniform. From humble beginnings to performing for kings, queens, presidents, and even a sultan, Steve Wyrick has become one of the most dominant forces in magic.